The United Launch Alliance's Tory Bruno is the latest victim of Musk's Twitter savagery. Elon Musk is feeling confident following last week’s successful launch of the Falcon Heavy rocket. The SpaceX CEO took to Twitter to state that he would “eat his hat with a side of mustard” if the United Launch Alliance’s (ULA) upcoming Vulcan rocket is able to fly a national security spacecraft before 2023. This comment came after ULA CEO Tory Bruno corrected a tweet by Musk that compared the costs associated with Falcon Heavy and Delta IV Heavy. 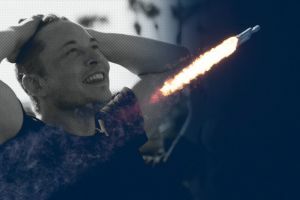 Musk said that the former cost $150 million while the latter cost in excess of $400 million, while Bruno suggested that the cost of launching with his company’s rocket was actually around $350 million. Unsurprisingly, Musk didn’t back down. Instead, he revised his own $400 million estimate for the Delta IV, suggesting that fixed costs that are in effect going forward will swell the cost of a mission using the rocket beyond $600 million. That was three years ago, before ULA cancelled all medium versions of Delta IV. Future missions have all Delta fixed costs piled on, so their cost is now $600M+ for missions contracted for launch after 2020. Nutty high. Bickering with the head of a company he’s in competition with is nothing new for Musk – just before the Falcon Heavy launch, he engaged in a passive-aggressive exchange with Blue Origin founder Jeff Bezos. However, the cost associated with Falcon Heavy is a pressure point, because the comparatively low price tag of a launch using the rocket is one of its greatest strengths. Musk’s stunt of sending a Tesla Roadster into space may have grabbed headlines, but the fact that its two side cores returned to Earth unscathed is the real advance here. The fact that these components can potentially be re-used makes launches very cost-effective, as noted in a report by Wired. Musk wants Falcon Heavy to become a go-to option for missions ranging from the launch of a satellite to sending equipment to the International Space Station. With that in mind, we can see why he’s liable to get defensive – he wants to make it clear that his rocket costs less and will be available before his competitors’.